Music geeks have come out in force to denounce a t-shirt for sale on Amazon that depicts the opening of Beethoven’s Symphony No. 5… with the wrong notes. The ire of the classical music fraternity has been well and truly awoken by this incorrect garment. 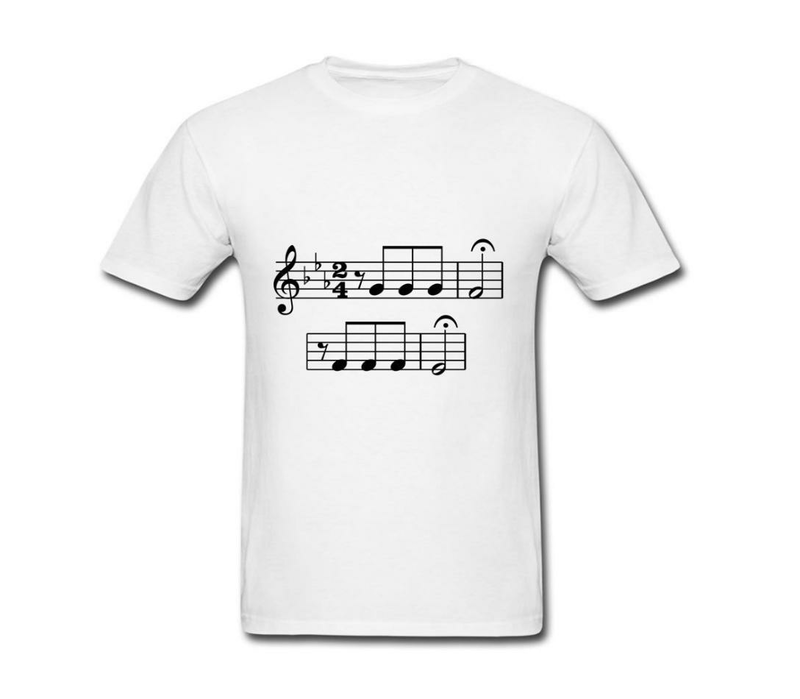 The T-shirt shows a bizarre major second interval in the opening phrase, rather than the (correct) Beethoven original of a major third followed by a minor third. The music community are not letting the online retailer get away with that. And you can read the rest here (they’re hilarious).